Growing to 3 or more feet (1 m) from the bulb, lilies do not stand erect but point horizontally. The large white blooms live four to five days. Lilies are pollinated by moths which are attracted to its sweet fragrance and its white color. 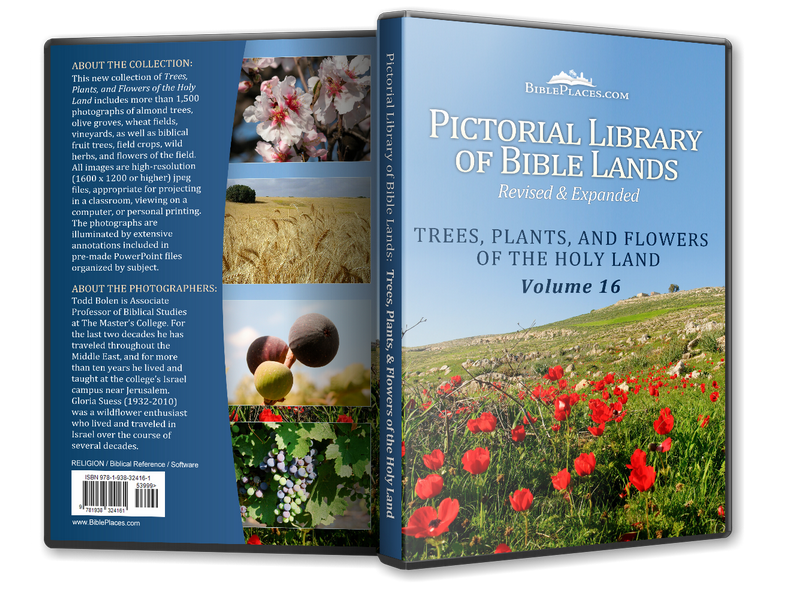 References to “lilies” in English Bibles should be seen as a generic term for flowers, rather than as a referring to this particular variety. This exquisite flower was known in biblical times and was used as an architectural motif for capitals and in Solomon’s temple. Green hills adorned with thousands of crown anemones announce spring’s arrival. The flower blooms from December to April. 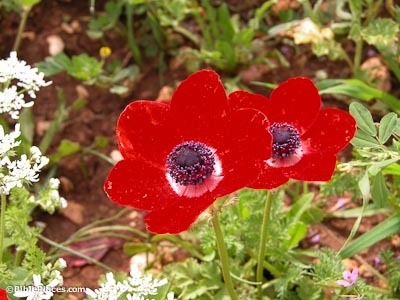 Although blue, white, purple, and pink anemones exist, red is by far the most common. The anemone typically has six petals which close in the evening and reopen with the morning light. 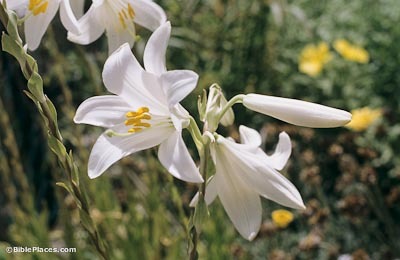 Traditionally, these are the lilies of field to which Jesus compares Solomon in all his glory (Matt 6:28, Luke 12:27). 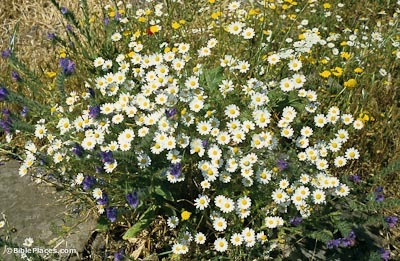 A member of the daisy family, the yellow and white flowers of the dog chamomile stretch wide in the morning light and turn down in the evening. Found in the deserts of Israel, these annuals are 8 inches (20 cm) tall. Abundant and bright, the golden hue of the crown daisy is reflected in its scientific name chrysanthemum coronarium which means “golden flower.” The crown daisy is able to grow in difficult areas. 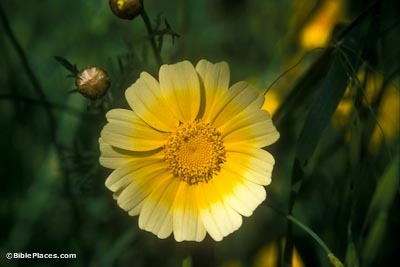 The flower measures 15 to 30 inches (40-80 cm). 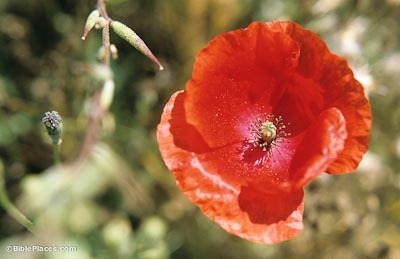 Blooming in May, the beautiful poppy lives two to three days. The brief life of the poppy provides a perfect example of the flower that fades in contrast to the Word of God which stands forever (Isa 40:5-9; 1 Pet 1:24-25). This annual grows 12 to 20 inches (30-50 cm) in height. The plant has large leaves and many stems, each with a flower. The red flowers have four petals which open in the morning and close for the evening.